‘A Memory of Light’ A Triumph of the Will? So I came into the final chapters of A Memory Of Light with certain opinions, expectations, and ideas about how the various options for resolution could play out. Obviously, here follow MASSIVE spoilers for the end of A Memory of Light, so consider this fair warning. If you continue reading this article and haven’t already finished A Memory of Light, on your own head be it. I’ll begin by saying a few things: I state my opinions very strongly. If this offends you, please stop reading. I am utterly un-afraid to call out people who do something better than I do for doing it poorly. Writing better than me is trivially easy, and you can still write poorly while being better than me. If the idea of Robert Jordan or Brandon Sanderson being called out for poor writing offends you, please stop reading. That said, please do read, enjoy, agree, disagree, call ME out in turn etc. as long as everybody remains civil. I’ll start with a basic recap of my perception of the ending of A Memory Of Light, and my understanding of what is implied by events therein. This, like any argument, is going to be the underlying assumption that grounds my position. As Rand is battling The Dark One, their engagement takes the form of each creating a new version of the Pattern to imitate the after-effects of a possible outcome of the battle, each attempting to get his opponent to accept his desired outcome as true. We see a world where The Dark One wins, enters the world fully, and seizes control of the Pattern. In this world, The Dark One becomes the perfect despot. He states that he will remove not only the will of people to resist his oppression, but will also remove from them the suspicion that something is even wrong. They will become purely self-interested, uncompassionate, uncaring, casual with violence, murder, and rapine. It is described in the text as “A world without Light.” That capital L is vital because it refers to the dichotomy between “The Light” and “The Dark” as the representatives of The Dark One and the Creator. Obviously this is a world that Rand cannot accept. After this, we see the reverse: Rand creates a world where The Dark One does not exist. Rand removes him from the Pattern, and he finds himself in a world where violence is unknown, crime unthinkable, and a sword is not even recognized for what it is. Things turn dark for Rand, however, when he sees that people have changed in ways that he also cannot accept. They are “Good” but he detects in their eyes a shadow, the same shadow he perceives in those who have been turned forcibly to worship the The Dark One. He has an exchange with The Dark One at this point, where The Dark One raises the claim that without The Dark One, Rand will become as The Dark One is. By removing evil from the world, he has also removed the ability of humanity to choose to do evil. He has in this way taken away their free will in exactly the same way The Dark One would do if he broke free and took control of the Pattern. This causes Rand to re-evaluate his plan to kill The Dark One, settling instead for breaking the seals, clearing away the patch Lews Therin put in place, and re-sealing him away, presumably “as well” as the Creator did at the moment of creation before the bore was ever dug. Since the seal also uses the True Power, and that was only accessible after the bore was created, the assumption I’ve made is that nobody using existing means could ever break through it since they wouldn’t have access to the True Power to remove the True Power part of the seal. This is presented in the book as a triumph of free will, and an understanding that the most important thing is protecting the right of humans to CHOOSE. This emphasis on free will and personal agency forms the core of the ending of the book. The Dark One winning led to a world that was without free will, Rand killing The Dark One led to a world that was without free will. The only option that allowed humanity to continue as it had been, will intact, was to re-seal The Dark One away to limit, but not eliminate, his influence. This is also either completely incorrect, or the result of terrible writing. The thing that makes free will free is the ability to choose, free of influence or coercion. If you weren’t free to select an alternative, your agency has been taken away, and you are little better than a puppet. The strong implication from these two visions for the future is that The Dark One intends to remove agency, by removing both the emotions that Rand considers positive traits for humans, and removing the ability of people to discern that something has been done. They are being oppressed and have also had their ability to gauge oppression removed, so nobody will ever question the reality. The problem is that in Rand’s case, the reverse is not remotely true. Rand intends to kill The Dark One, a force of evil, that exists to control, or at the very least, influence, moving people toward evil. The Dark One is not ever explicitly stated to be the SOURCE of evil. If you think of the trope of the angel and devil on one’s shoulder, advising you on your moral decisions, the removal of the devil from your shoulder doesn’t mean you are now incapable of evil, but are merely not being pushed towards it. Those who are intrinsically evil would be perfectly able to continue being evil in a world without The Dark One. In discussions with other readers of The Wheel of Time, it has been suggested to me that I accept as correct the idea that, in fact, The Dark One is the ONLY source of evil in the universe, and with The Dark One dead, evil would cease to exist, therefore bringing about the world Rand saw in his vision. From this comes two possibilities: either The Creator and The Dark One are the sole sources of all moral actions, influencing people who would otherwise simply not act, thus fundamentally becoming zombies (in the philosophical sense), or they serve to exemplify, foster and encourage actions and agency that already exists in humans. In the former case, without The Dark One, humans would be “good,” but in a way that lacks any meaning because there was no chance they could have picked the alternative. The implication is that if Rand had perhaps listened to Lanfear and used the Choedan Kal to challenge The Creator himself, perhaps killing them both, humanity would functionally cease to exist. The world would be left with a sea of apathetic beings with no moral agency who would sit around until they starved to death. In the latter case, where humans are capable of both good and evil without the influence of The Dark One or the Creator, removing The Dark One would not magically remove evil as a concept from the hearts of minds of all people. Bear in mind, though, that The Dark One says explicitly of his vision of victory, “But I will make a world where there is no good or evil. There is only me.” This is the KEY difference: The Dark One is removing Good AND Evil, as well as removing the ability of humanity to discern the difference or realise that anything is wrong. Rand isn’t even removing evil (I argue), just removing a source of encouragement to do evil. The idea of a cyclical world is a common trope in fantasy and science-fiction. Things happening again and again the same way populate books and movies ranging from Battlestar Galactica, through The Matrix, and right on down to Groundhog Day. The concept these things all have in common is the idea that the cycle can be broken, that the version of the story we are watching is the one where something new and unexpected happens that allows the cycle to be broken, and a new and unique future unfolds. 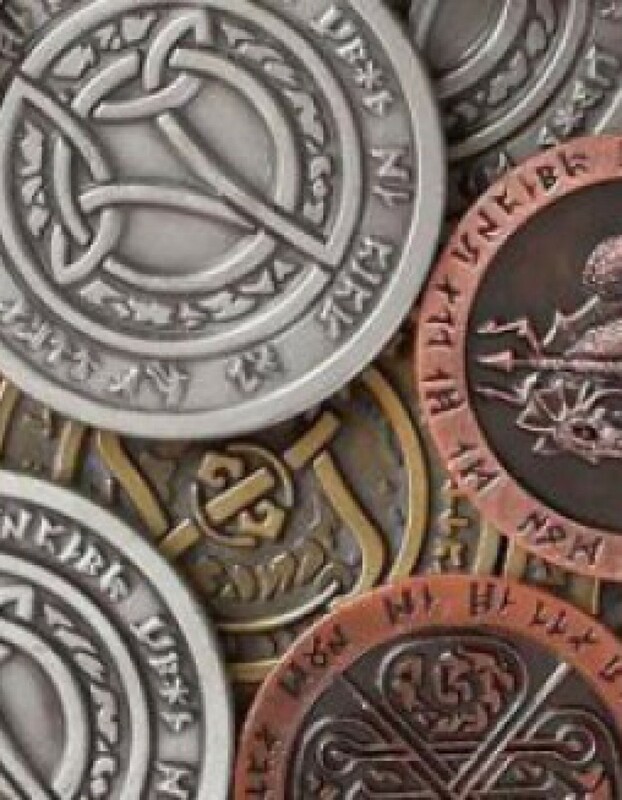 The Wheel of Time series implies at the start of every book that there are no endings to the wheel of time, and that even this will only have AN ending, but throughout the series, Rand sets out to do something different, something unexpected. He is going to kill The Dark One, and bring an end to the repetition. Except he doesn’t. He falls victim to a faulty idea that his plan is the same as The Dark One’s, and instead of changing anything, he does exactly what was done before, and the world continues, hell bent on a new Age of Legends, a new idiot who decides to drill a bore, and a new Breaking. The Pattern maintains its balance and weaves on regardless of Rand’s intentions. All along, during the epic chapter 37, the motif is one of choice, of will. People choosing to betray, choosing to sacrifice, choosing to be heroes. The revelation that allows Rand to defeat The Dark One is the knowledge that he needs to allow people to exercise their will, that it is wrong of him to try and control them, to protect them from their own decisions. It is Rand releasing to them their will that gives him the knowledge he needed. But if the Pattern simply forces the result it wants, forces the outcome required to keep the wheel moving, to bring everything back around again, do they actually have free will? If all of this has happened before, and all of this will happen again, why are we supposed to care? This book could have been any age, any version of these events, and everything would have come out exactly the same way. We aren’t reading about the choices and agency of characters, we are watching puppets move on their strings in a world running on tracks. The Pattern seems to be incontrovertibly powerful, and those who think they are exercising free will in a way that would allow them to change this only THINK they are exercising that will, and the threat to the pattern is itself part of the pattern. The thing that makes this concept satisfying is to see the cycle be broken, to see someone act in a way that destroys the cycle, because it is in turn an affirmation of our own free will. To watch someone try and fail to exercise his will functions as a condemnation of our own will. If the world lacks free will, Rand’s understanding and release of his attempts to control the will of others is exactly as meaningless as his belief that he was controlling their will in the first place. For someone whose investment in this trope is in the destruction of the trope, it was highly disappointing. I’m unsure how to classify what led to this situation. On the one hand, there is the possibility that Robert Jordan and Brandon Sanderson didn’t think through the deeper philosophical implications of what they were writing. It’s an easy hole to fall through as not everybody studies ethics and morality, and maybe they simply didn’t care whether the story was logically consistent from this perspective. It is fantasy, after all. Our world lacks a Dark One and a Creator, so within the realm of Rand-land, the rules may simply work differently. On the other hand, this could have been done entirely purposefully with a full understanding of the consequences. The plan from book one, from twenty-one years ago might have been to have Rand try and fail to fight against the Pattern and actually change something fundamental. It may have always been the plan for Rand to decide he can kill The Dark One, be presented with this horrible, and entirely inaccurate image of the future, and change his mind. The Pattern itself might have shown him a reality that was not in fact what would happen, as its method to prevent him from killing The Dark One. In either case, this disconnect from expectations was jarring and really took me out of my immersion, which had been really coming along nicely (especially with Mat, he carried this book hands down) and left me wondering just what the authors were thinking, which is dangerous territory. What do you think? Was Rand’s triumph of free will a triumph? Would a world without The Dark One be just as bad as a world with only him? Do humans in Rand-land have free will? Are they slaves to the whims of the Creator and Shai’tan? Should Rand have gone through with it? Were you so invested in the series that you neither know nor care whether any of this makes any sense at all? I’d love to talk about it.